Rustic contemporary design makes this rectangular dining room table with a pedestal base a stylish piece for the heart of your dining room. Constructed of reclaimed pine solids, the butcher block pattern of the wood and its washed grayish brown finish accentuates the natural wood tones and distressed details, including nail holes. 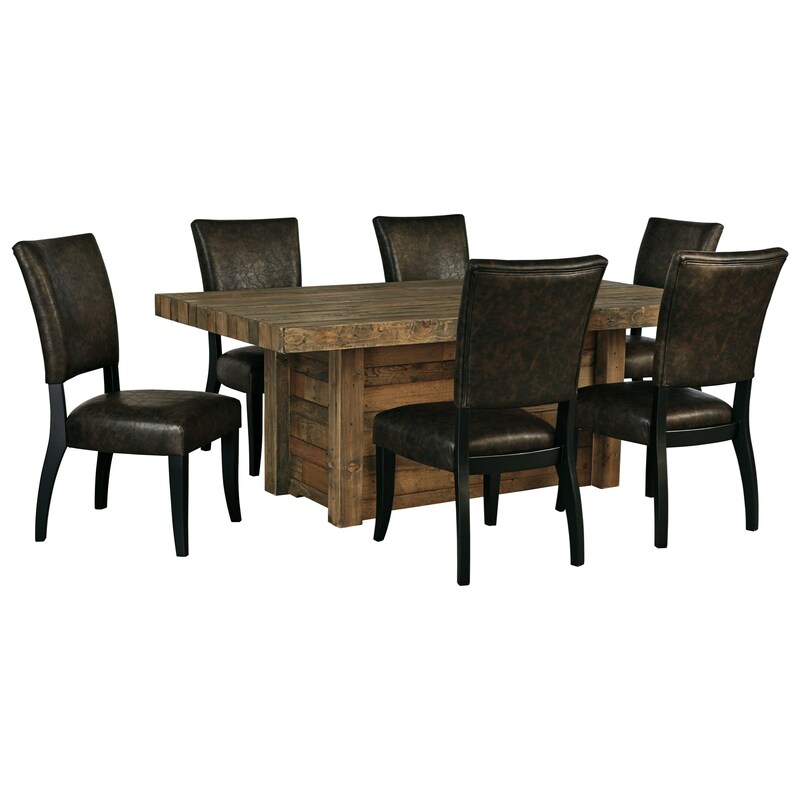 Brown faux leather with a rustic appearance complements a dark finish frame on the upholstered side chairs, which provide a visually interesting contrast to the table. The chairs will be a comfortable and statement-making addition to your dining room. The Sommerford 7-Piece Rectangular Dining Room Table Set by Signature Design by Ashley at Miskelly Furniture in the Jackson, Pearl, Madison, Ridgeland, Flowood Mississippi area. Product availability may vary. Contact us for the most current availability on this product.